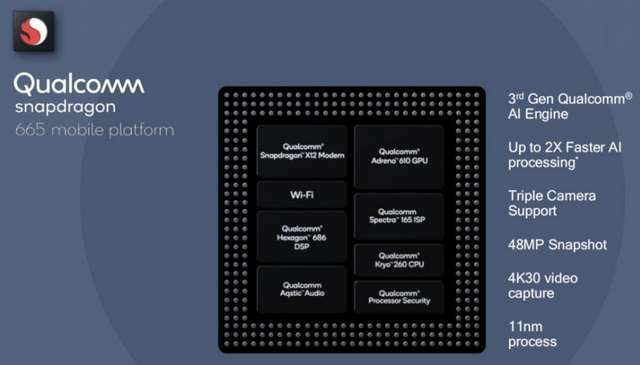 Qualcomm on Tuesday announced a new mid-tier mobile chipset, the Snapdragon 730 Mobile Platform. 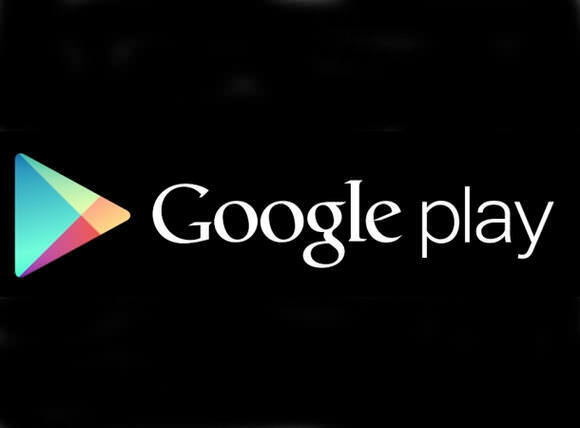 The company also introduced Snapdragon 665 Mobile Platform. These are the upgrades to the Snapdragon 710 and Snapdragon 660, respectively, bringing with them improved CPU and GPU performance, and battery efficiency. The Snapdragon 730 have nearly all the features that made the flagship segment of the "Snapdragon 8xx" series special, its major highlight. 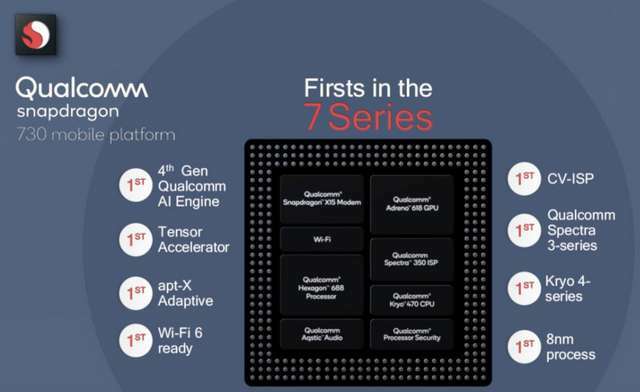 It is the first Snapdragon 7 series to use Kryo 4xx CPU, to offer 4th-Gen Qualcomm AI Engine, to use tensor acceleration for machine learning, and the first mid-range to be made on 8nm LPP process - sitting secondly behind the Snapdragon 855 that is based on 7nm process. It is WiFi 6 ready and it also has the supports for Bluetooth apt-X adaptive. In overall, these means the Snapdragon 730 offers 35% increase performance and is 4x power saving when compared with the Snapdragon 710. Coupled with the chipset is the new Adreno 618 GPU, which should greatly improved the overall graphics processing across the board. There is also a variant of the processor that is specifically enhanced for gaming dubbed Snapdragon 730G Mobile Platform. Although it shared almost the same specs with the standard vanilla version, it has been tuned here and there to make sure that certain selected games run butter-smooth at peak settings. The Snapdragon 730G is highlighted to offer True HDR Gaming, have anti-cheating extensions, offer up to 15% faster gaming rendering via its overclocked Adreno 618 GPU, and to feature Jack Reducer to enhance games played at 30fps. Qualcomm revealed that its in-house game studio have partnered with Android consumers top favorite game makers to optimize the chipset for world's top-rated games. 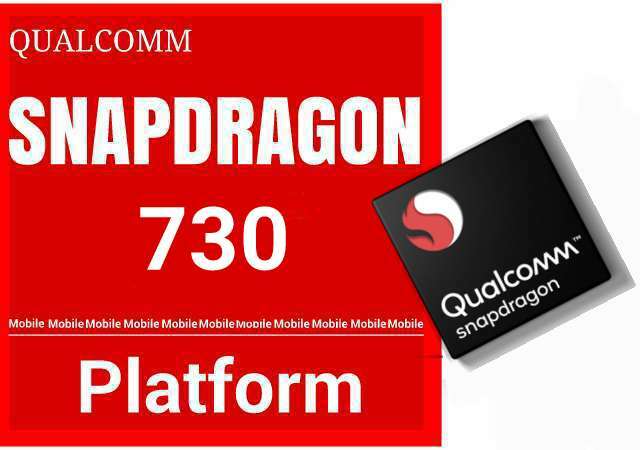 The Snapdragon 665 Mobile Platform is slightly upgraded when compared with the Snapdragon 660. It used the same Kryo 260 CPUs, but that have been under-powered to 2.0GHz. It is more power friendly however as it is made on a smaller 11nm LPP process (the Snapdragon 660 is made on 14nm). Graphics demanding applications will see some improvements with the new Adreno 610 that is paired with the new processor. The Snapdragon 665 have the capacity to harbor and powered a 48MP single camera module, 16MP dual camera, or even triple camera - a feature that the former lacked. There are also new Spectral 165 ISP and Hexagon 686 DSP onboard. The Snapdragon 730, Snapdragon 730G, and Snapdragon 665 are expected to be commercially available in mid-2019.